Fashion With A Conscience has moved. 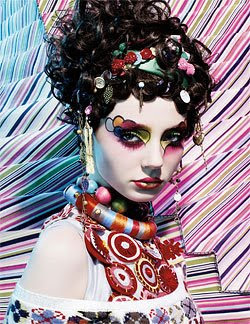 Visit www.fashionwithaconscience.org: Beauty talk: M.A.C. collection preview. We salute M.A.C. for consistently using exuberant creativity to build their ad campaigns. Above is their new Colour Craft collection ad. Visit Beauty Blogging Junkie to preview makeup collection. Photo credits: Courtesy of M.A.C.